The perfect accessory for mommies (and daddies!) on the go..This car seat carrier secures your favorite baby doll snugly for new adventures! Designed for the busy mommy and daddy on the go, this car seat carrier is lightweight and secures your favorite baby doll for new adventures! 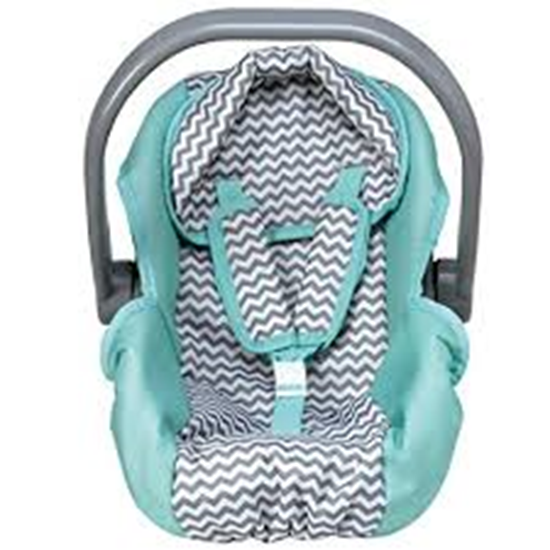 Made of a lightweight gray plastic the removable gender neutral patterned seat cover is washable. This fits up to 20 inch baby dolls and is perfect for ages 3 and up.